This guy was a flat-out monster. 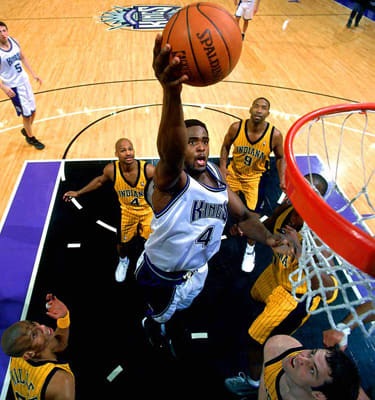 Chris Webber dealt with injuries his whole career but it wasn't until he hurt his knee during the 2003 playoffs that he slowed down. He still had the numbers and made enough of an impact to be on this list. "The Manchild" snatched rebounds from the sky and dunked them like he was mad at the world. Then he'd go up the court with that sinister scowl reminding foes of his demented talent. He was one of the best big-man passers in league. Chris made his team better, but he never seemed to consistently come through in the clutch. Some say that timeout always haunted him.